On a chilly morning at the end October Grand Master Brian Jones left British shores to visit his student Tim Waterschoot in Waasmunster, Belgium, Grand Master Brian was as usual accompanied by Master Ricky Crofts. The purpose of the visit was for Grand Master Brian to, once again, share his Integrated Kun Tao Tai Chi system with Tim and his students; Tim has been teaching the Integrated Tai Chi system for the last 24 months in Belgium. Over the course of the weekend Grand Master Brian focussed on the first section of the Tai Chi form breaking down each individual movement of the form showing the correct body position, weight transference and weight distribution.  Once everyone was comfortable with the movement the martial applications were taught, the subtle but effectiveness of the Integrated Kun Tao Tai Chi system quickly became clear to all. Grand Master Brian explained that although there are numerous health benefits in learning Tai Chi Chuan it is also a very effective martial art, in fact the earliest recorded martial art: Grand Master Brian showed and then taught how with a small amount of body movement, done in the correct away, a strong attack can be easily be redirected with no force! Grand Master Brian referred to this as “investing in loss”. During the seminar Master Ricky and Tim gave demonstrations of the Tai Chi Broad Sword form and an interpretation of the Tai Chi form with a Samurai sword, respectively. Both showed how beautiful but deadly Tai Chi can be. Along with members from Tim’s Tai Chi and Escrima Clubs there were also attendees from ” die bonner schule” and “SG. Benefeld-Cordingen” in Germany and from the Ju-Jitsu club “Vlaamse Jutsoka Merksem”.